Join us on November 24th, as we celebrate Small Business Saturday by supporting our small businesses in Butte! All participating shops will be providing discounts, sales, or door prizes. 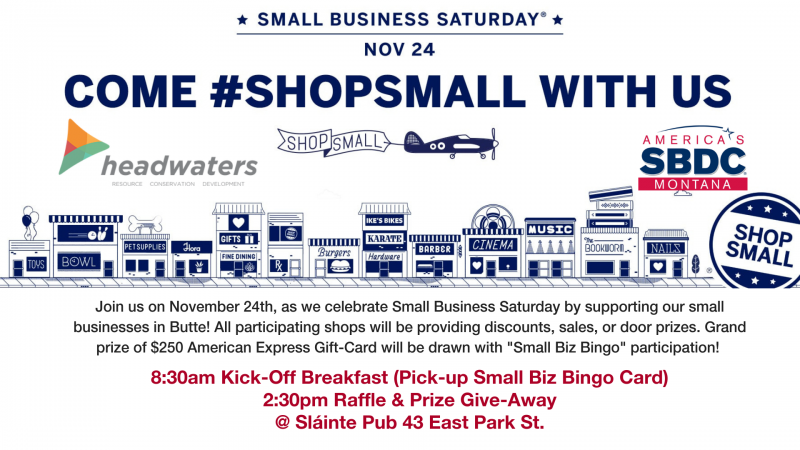 Grand prize of $250 American Express Gift-Card will be drawn with "Small Biz Bingo"